For the first Doge of Genoa, see Simone Boccanegra. Simon Boccanegra (Italian: [siˈmom ˌbokkaˈneːɡra] ) is an opera with a prologue and three acts by Giuseppe Verdi to an Italian libretto by Francesco Maria Piave, based on the play Simón Bocanegra (1843) by Antonio García Gutiérrez, whose play El trovador had been the basis for Verdi's 1853 opera, Il trovatore . 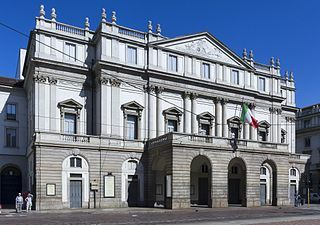 Simon Boccanegra was first performed at Teatro La Fenice in Venice on 12 March 1857. 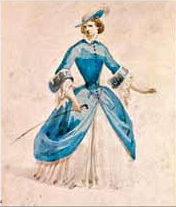 Given the complications of the original plot and the generally poor popular response – although the critical one was more encouraging – the opera dropped out of favour after 1866. Finally, 23 years later, Verdi's publisher persuaded the composer to revise the opera, with text changes to be prepared by Arrigo Boito, the librettist who aspired to work with the aging composer on a project which eventually became a new opera, Otello , but to which Verdi had not totally committed at that time. Musicologist and author Julian Budden points to three projects which the composer had in mind when, at the beginning of 1855, he turned down an invitation from La Fenice to write a new opera for them for the following year. He responded: "the chief obstacle is my unshakable determination not to bind myself anymore to a definite period for either the composition or the production". While that approach did not turn out to be practicable at that time, it was an ultimate goal and, in aiming to achieve it, his partner of the previous four years, Giuseppina Strepponi greatly encouraged it when she wrote to him at the time of his frustrations two years earlier when working in Paris on Les vêpres siciliennes. The only project for which there was forward motion was towards accomplishing his long-planned Re Lear , an opera to be based on King Lear , for which his new librettist (following Salvadore Cammarano's death) was Antonio Somma. 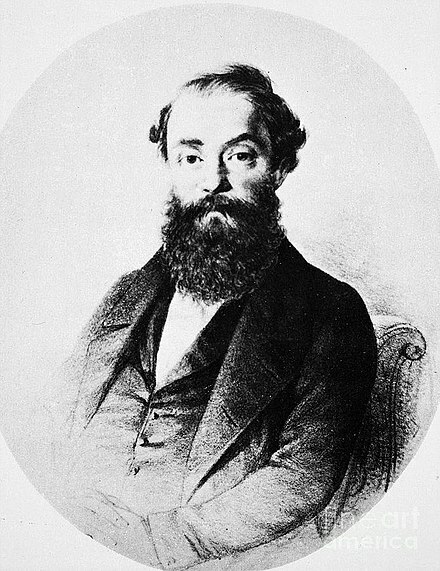 But a year later, when overseeing a revival of La traviata at La Fenice, he agreed to a new opera for that house for the 1856/7 season,  and he proposed the Gutiérrez play, which Budden presumes he had read in translation. Budden also presumes that the translation had been done by Strepponi,  because she had been the translator of Gutiérrez' other play which had become Il trovatore. The somewhat convoluted plot of Simon Boccanegra is hard to follow. Budden notes: "All the characters define themselves against an ingeniously shifting pattern of intrigue such as can be highly effective in a play but well-nigh impossible to follow in an opera". Verdi had gone so far as to actually write out the scenario in prose, which he then submitted to Piave in August; all that he expected from his librettist was that it would be turned into poetry, so Verdi balked somewhat when the censors demanded a complete poetic version: "what does it matter for the moment it's in prose or verse?" He pushed harder, stating that "I plan to compose music for a prose libretto! What do you think of that?" In the end, there was a poetic version and all was well: it was accepted by the opera house and the censors. 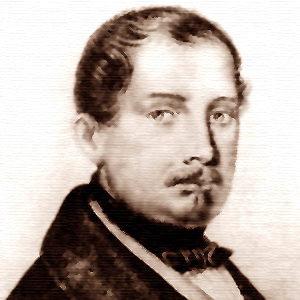 Beginning in July and throughout most of the period of the preparation of the libretto, the composer and Strepponi had been in Paris taking care of securing various performance and publication rights, including working on a translated version of Il trovatore, the opera which became Le trouvère. 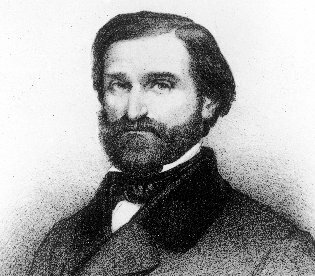 Piave was informed that Verdi's stay would need to be lengthened and everything would be handled between them and the Venetian authorities by mail. However, Verdi's dissatisfaction with some of the librettist's work led him to find a local collaborator to help revise some of the sections. Accordingly, he called upon an Italian exile in Paris, the politician, former professor of law, poet and writer Giuseppe Montanelli,  to do this. Piave learned nothing of the revisions until he received a note from Verdi: "Here is the libretto, shortened and altered more or less as it must be. You can put your name to or it, just as you please". However, he also learned nothing of the anonymous collaborator either. 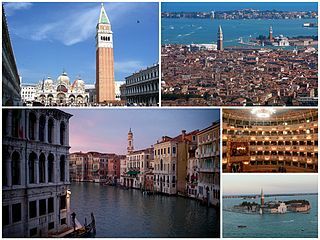 After the premiere of Le trouvère on 12 January 1857, Verdi and Strepponi left Paris to return to Italy, then both went to Venice for the March premiere. 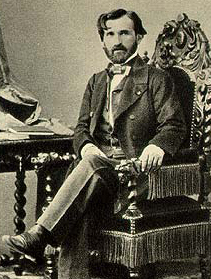 In spite of the complexity of many of Boito's proposed ideas, along with his alternative scenarios, which are expressed in a long letter to Verdi  (most of which the composer regarded as excessive), the Council Chamber scene emerged as the focus of the new collaboration. Although he had confidence in the young librettist's abilities ("[The scene] written by you could not possibly be dull"  ), Verdi did caution Boito that he appeared to be "aiming at a perfection impossible here. I [Verdi] aim lower and am more optimistic than you and I don't despair",  in essence, expressing an unwillingness to re-write the opera as completely as Boito had proposed. It would have been far more work than the composer wished to be involved in at the time. Time: The middle of the 14th century. Place: In and around Genoa. Paolo Albiani, a plebeian, tells his ally Pietro that in the forthcoming election of the Doge, his choice for the plebeian candidate is Simon Boccanegra. Boccanegra arrives and is persuaded to stand when Paolo hints that if Boccanegra becomes Doge, the aristocratic Jacopo Fiesco will surely allow him to wed his daughter Maria. When Boccanegra has gone, Paolo gossips about Boccanegra's love affair with Maria Fiesco – Boccanegra and Maria have had a child, and the furious Fiesco has locked his daughter away in his palace. Pietro rallies a crowd of citizens to support Boccanegra. After the crowd has dispersed, Fiesco comes out of his palace, stricken with grief; Maria has just died (Il lacerato spirito – "The tortured soul of a sad father"). He swears vengeance on Boccanegra for destroying his family. When he meets Boccanegra he does not inform him of Maria's death. Boccanegra offers reconciliation and Fiesco promises clemency only if Boccanegra lets him have his granddaughter. Boccanegra explains he cannot because the child, put in the care of a nurse, has vanished. He enters the palace and finds the body of his beloved just before crowds pour in, hailing him as the new Doge. Amelia is awaiting her lover, Gabriele Adorno (Aria:Come in quest'ora bruna – "How in the morning light / The sea and stars shine brightly"). She suspects him of plotting against the Doge and when he arrives she warns him of the dangers of political conspiracy. Word arrives that the Doge is coming. Amelia, fearing that the Doge will force her to marry Paolo, now his councilor, urges Adorno to ask her guardian Andrea (in reality, Fiesco) for permission for them to marry: Sì, sì dell'ara il giubilo / contrasti il fato avverso – "Yes, let the joy of marriage be set against unkind fate". Fiesco reveals to Adorno that Amelia is not a Grimaldi, but a foundling adopted by the family. When Adorno says that he does not care, Fiesco blesses the marriage. Boccanegra enters and tells Amelia that he has pardoned her exiled brothers. She tells him that she is in love, but not with Paolo, whom she refuses to marry. Boccanegra has no desire to force Amelia into a marriage against her will. She tells him that she was adopted and that she has one souvenir of her mother, a picture in a locket. The two compare Amelia's picture with Boccanegra's, and Boccanegra realizes that she is his long-lost daughter. Finally reunited, they are overcome with joy. Amelia goes into the palace. Soon after, Paolo arrives to find out if Amelia has accepted him. Boccanegra tells him that the marriage will not take place. Furious, Paolo arranges for Amelia to be kidnapped. The Doge encourages his councillors to make peace with Venice. He is interrupted by the sounds of a mob calling for blood. Paolo suspects that his kidnapping plot has failed. The Doge prevents anyone leaving the council chamber and orders the doors to be thrown open. A crowd bursts in, chasing Adorno. Adorno confesses to killing Lorenzino, a plebeian, who had kidnapped Amelia, claiming to have done so at the order of a high-ranking official. Adorno incorrectly guesses the official was Boccanegra and is about to attack him when Amelia rushes in and stops him (Aria: Nell'ora soave – "At that sweet hour which invites ecstasy / I was walking alone by the sea"). She describes her abduction and escape. Before she is able to identify her kidnapper, fighting breaks out once more. Boccanegra establishes order and has Adorno arrested for the night (Aria: Plebe! Patrizi! Popolo! – "Plebeians! Patricians! Inheritors / Of a fierce history"). He orders the crowd to make peace and they praise his mercy. Realizing that Paolo is responsible for the kidnapping, Boccanegra places him in charge of finding the culprit. He then makes everyone, including Paolo, utter a curse on the kidnapper. Paolo has imprisoned Fiesco. Determined to kill Boccanegra, Paolo pours a slow-acting poison into the Doge's water, and then tries to convince Fiesco to murder Boccanegra in return for his freedom. Fiesco refuses. Paolo next suggests to Adorno that Amelia is the Doge's mistress, hoping Adorno will murder Boccanegra in a jealous rage. Adorno is furious (Aria: Sento avvampar nell'anima – "I feel a furious jealousy / Setting my soul on fire"). Amelia enters the Doge's apartments, seeming to confirm Adorno's suspicions, and he angrily accuses her of infidelity. She claims only to love him, but cannot reveal her secret – that Boccanegra is her father – because Adorno's family were killed by the Doge. Adorno hides as Boccanegra is heard approaching. Amelia confesses to Boccanegra that she is in love with his enemy Adorno. Boccanegra is angry, but tells his daughter that if the young nobleman changes his ways, he may pardon him. He asks Amelia to leave, and then takes a drink of the poisoned water, which Paolo has placed on the table. He falls asleep. Adorno emerges and is about to kill Boccanegra, when Amelia returns in time to stop him. Boccanegra wakes and reveals to Adorno that Amelia is his daughter. Adorno begs for Amelia's forgiveness (Trio: Perdon, Amelia ... Indomito – "Forgive me, Amelia ... A wild, / Jealous love was mine"). Noises of fighting are heard – Paolo has stirred up a revolution against the Doge. Adorno promises to fight for Boccanegra, who vows that Adorno shall marry Amelia if he can crush the rebels. The uprising against the Doge has been put down. Paolo has been condemned to death for fighting with the rebels against the Doge. Fiesco is released from prison by the Doge's men. On his way to the scaffold, Paolo boasts to Fiesco that he has poisoned Boccanegra. Fiesco is deeply shocked. 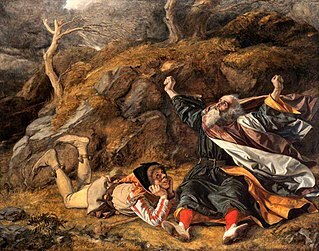 He confronts Boccanegra, who is now dying from Paolo's poison. Boccanegra recognizes his old enemy and tells Fiesco that Amelia is his granddaughter. Fiesco feels great remorse and tells Boccanegra about the poison. Adorno and Amelia, newly married, arrive to find the two men reconciled. Boccanegra tells Amelia that Fiesco is her grandfather and, before he dies, names Adorno his successor. The crowd mourns the death of the Doge. The Doge of Genoa was the ruler of the Republic of Genoa, a communal republic, from 1339 until the state's extinction in 1797. Originally elected for life, after 1528 the Doges were elected for terms of two years. In actuality, the Republic was an oligarchy ruled by a small group of merchant families, from whom the doges were selected. The Adorno family was a patrician family in Genoa, Italy, of the Ghibelline party, with the branches of Botta Adorno of Milan and Adorno Pastorino of Turin, several of whom were Doges of the republic. They were generally rivals of the Fregoso family. Both families rose to power in the late 14th century. Simone Boccanegra was the first Doge of Genoa. He became doge in 1339, but was ousted from power six years later. He regained the position in 1356, retaining it until his death in 1363. Gabriele Adorno (1320–1383) was the fourth Doge of Genoa. A member of the noble Adorno family, he was elected on 14 March 1363 to succeed Simone Boccanegra, who had died in office. He remained in the position until 13 August 1370, when he was deposed by the people of Genoa, because he had introduced too high taxes. He was succeeded by Domenico di Campofregoso. ↑ Loewenberg, (1978) p. ? ↑ Harewood, The Earl of, '16 Verdi's 'Simon Boccanegra',' Opera on the Gramophone 16, December 1965, p. 9. ↑ Budden, p. 294: He explains that "operatic architecture, if not common sense, demands a cabaletta at this point. ↑ Judith Malafronte (July 2015). "Verdi: Simon Boccanegra". Opera News . 80 (1). Wikimedia Commons has media related to Simon Boccanegra (Verdi) .